These 10 handmade wooden blocks from Fiesta Crafts provide several different fun activities. 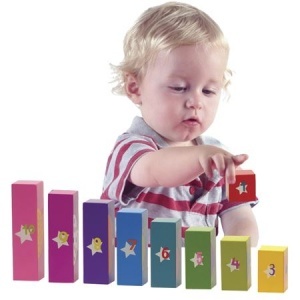 They each make different sounds such as rattle, jingle and rustle and they are a good educational toy for learning numbers one to ten and can be used for counting. 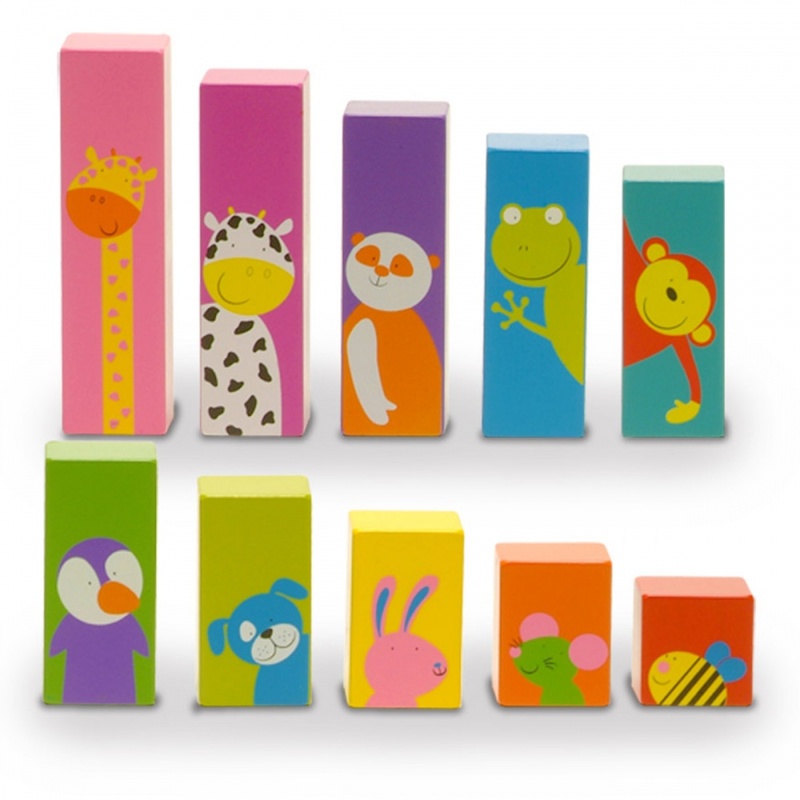 Each block has a different animal in bright colours and you can play find the animals matching bottom which all adds to the fun. Wonderful for learning colours too. Great educational value as well as fun to play, they will provide hours of entertainment, not forgetting o, of course, they can be played with as just exciting building blocks.